Explore Sri Lanka in style by choosing a heli tour of Sri Lanka for your upcoming holiday. Heli tour service providers in Sri Lanka have a team of professional and highly experienced air crew as well as reliable aircrafts with a strong backup facility. All you have to do is sit back, relax and enjoy the breathtaking views as these trusted professionals fly you across the beautiful island of Sri Lanka. 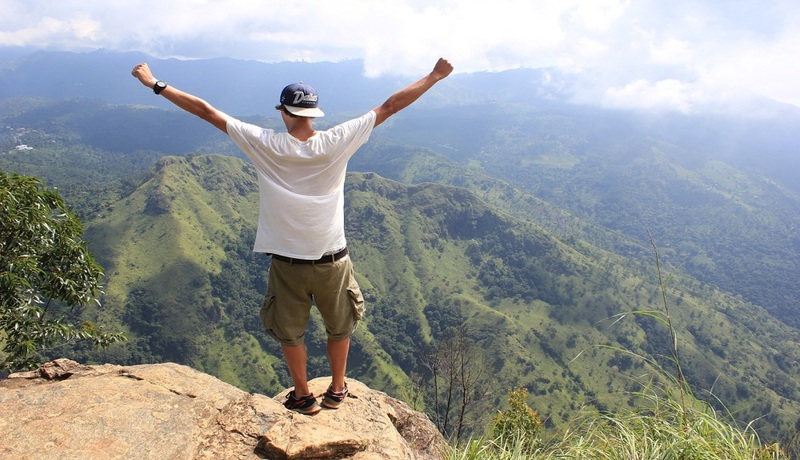 Soaking up the breathtaking bird’s eye view of the exclusive landscapes in Sri Lanka. Feeling like a ‘VIP’ as you explore Sri Lanka in a HELICOPTER! Covering a wider variety of destinations as a result of faster air travel. 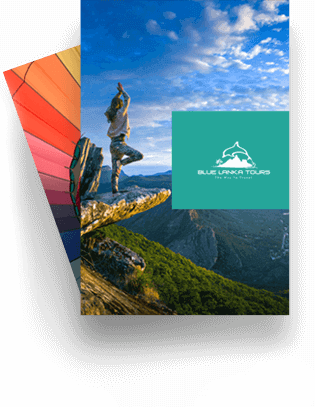 A Blue Lanka representative will greet you at the Bandaranaike International Airport, after which you will be driven to Colombo for your first stop on your heli tour in Sri Lanka. 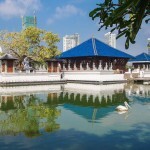 In Colombo, you will be taken for a city tour where we will show you around the major attractions such as the Gangaramaya Temple, Old Parliament Building, Fort, Fruits and Vegetables Market, Galle Face Green, World Trade Center and so on. 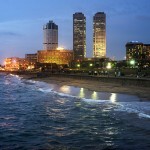 After your city tour, you will check in to Paradise Tintagel Hotel in Colombo for your first night. On day 02, you will be driven to Water’s Edge, Battaramulla from your hotel. This is about half an hour’s drive and upon reaching Water’s Edge, you will get into your first helicopter ride in Sri Lanka. 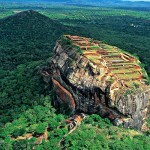 This will take you to Sigiriya where you will check in to Water Garden Hotel for the 2nd night. 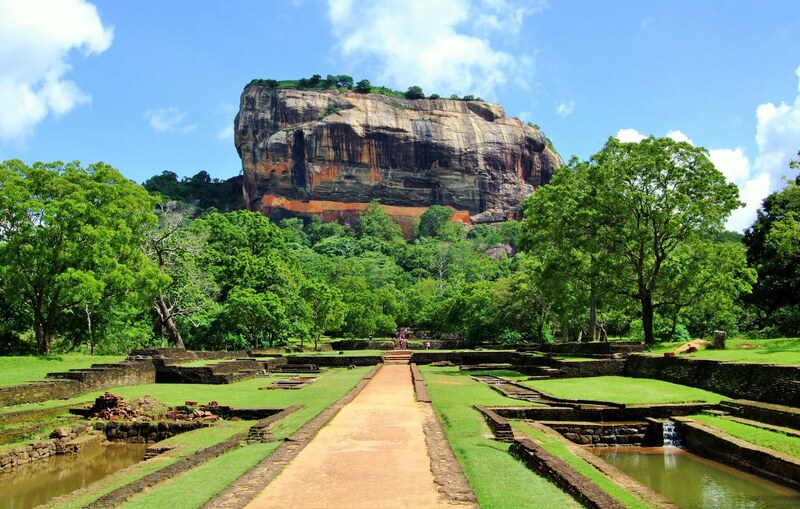 The Lion’s Rock in Sigiriya is a popular rock climbing attraction at the top of which you can also explore the remnants of a fortress built by one of the ancient Kings of Sri Lanka. You can then opt for a village tour of Sigiriya after an authentic Sri Lankan Rice and Curry lunch. Also enjoy a herbal massage in the evening and visit the Dambulla Cave Temple where you can discover more historical remnants. That night you will return back to Vil Uyana in Sigiriya. On day 04 you will be driven to the ancient city of Anuradhapura, where you will find the oldest ruins in all of Sri Lanka. 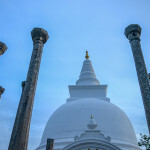 You can also climb the Mihintale Rock Temple and then check in to Ulagalla Resort and Spa in Anuradhapura for the night. From Anuradhapura, your Sri Lanka heli tour continues with another helicopter ride to Gannoruwa – Agricultural department ground. From here a car will pick you up and drive you to Kandy. In Kandy you can enjoy the evening cultural dance show and relax at Kandy House for that night. 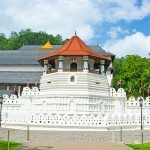 Early next morning you will visit the Temple of the Sacred Tooth Relic for blessings from the Buddhist monks. Here you can observe the religious practices and learn about the culture and traditions of Buddhism. You can then opt for a Kandy city tour and/or visit the neighboring Royal Botanical Gardens or the Elephant Orphanage in Pinnawela. On day 07, you will be taken to the beautiful town of Ella by helicopter. Don’t forget to enjoy the breathtaking views down below during this ride. In Ella, popular attractions are the Nine Arch Bridge and the hike to Little Adam’s Peak. 98 Acres Resort and Spa is where you will stay for the night. From Ella, you will enjoy another scenic Helicopter ride to Kataragama on day 08. Upon landing in Kataragama, a car will drive you to Yala, where you can experience a thrilling jeep safari at the Yala National Park. 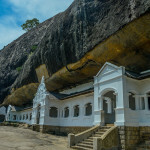 This is the most visited National Park in Sri Lanka and you will be thrilled to spot some unique wildlife species here. Keep your camera in your hands at all times! After exploring the park, you will check in to the luxurious Chena Huts in Yala for your overnight stay. On day 09, you will be driven to Galle by car and here you can visit the Galle Fort and explore the city. 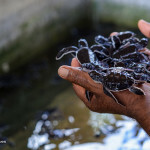 A visit to the Weligama fish market and the turtle farm and hatchery are also lined up for you on this day. 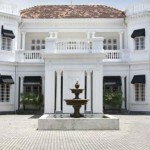 The Fortress is a five star luxury hotel where you will check in for the night. Day 10 is left free for you to make the most of the exotic South Western coastline of Sri Lanka. On Day 11 you can enjoy a relaxing boat ride on Koggala Lake and then visit the Martin Wickramasinghe Museum in Koggala. 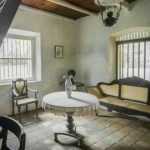 He was a respected Sinhalese author and this museum is a tribute to his expertise. Your night stay on these two days will be at The Fortress Hotel. 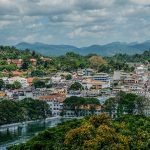 From Galle, you will be transferred to Ratmalana (a suburb of Colombo) by helicopter – being the final ride on your heli trip in Sri Lanka. You will land at the Ratmalana (domestic) Airport and this will be your last helicopter ride for the tour. A car will take you to Paradise Tintagel Hotel once again for your last night in Sri Lanka. 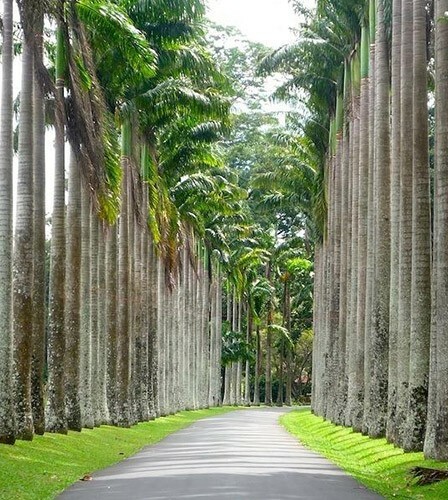 On day 13, depending on the time of your flight, you will be driven to the Bandaranaike International Airport. Your Heli tour of Sri Lanka ends here and we certainly hope that this itinerary was attractive for you. We look forward to hearing from you soon. One crew member and four passengers are the maximum number of people that can be aboard a helicopter at any given time. Hence with helicopter tours, a small family of four is ideal to ensure a private helicopter ride to all popular tourist destinations in Sri Lanka. Helicopters don’t usually fly higher than 1000 feet and are absolutely safe. All emergency landing options are available and the best part with helicopters is that they can land almost anywhere. A first timer does usually have a whole bunch of questions before he/she begins his/her heli tour experience. 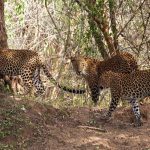 Here is a small brief of do’s and don’ts during your heli tour Sri Lanka which we hope will answer most of your questions. Carefully listen to all the instructions concerning aircraft safety. Appreciate the beauty of nature at your feet. Capture as many memories on your camera. Wear comfortable full length clothing and a pair of sunglasses. A jumper is optional if you are a person who feels cold easily. Keep your hair pulled back. Make sure you have worn the safety belt, life jacket and noise cancelling headset at all times during your helicopter ride. This equipment is very simple and comfortable to wear. Yes you can hear the pilot talking even though you have worn those headsets. Expect flight cancellations in case of turbulent weather and dangerous flying conditions. Don’t be nervous or afraid. Flying is not scary and nervousness will not let you enjoy the ride and the view. Extra clothing to keep you warm is not needed. Helicopters are able to keep temperatures at adjustable levels. Don’t wear extra accessories such as hats, flip flops and loose jewelry. Do not carry heavy luggage and loose items such as keys. Don’t worry about turbulence during your helicopter ride. The sleek body and flexible blades of a helicopter will cut out surrounding turbulence and will let you enjoy a comfortable ride. Pamper yourself with a herbal Ayurvedic massage treatment in Sri Lanka.